Summary: Two passengers can journey through India by river this April for the price of one as part of a special, last-minute offer released by Active Travel. Alternatively, passengers travelling solo can cruise without paying a supplement. Experiences include riding rickshaws, visiting tea gardens and seeing fabled lands from the comfort of a deluxe river ship. Two cruises are available from US$1415 for two people. Offer valid for bookings made by February 26, 2016. For more information, visit www.activetravel.com.au or call 1300 783 188. 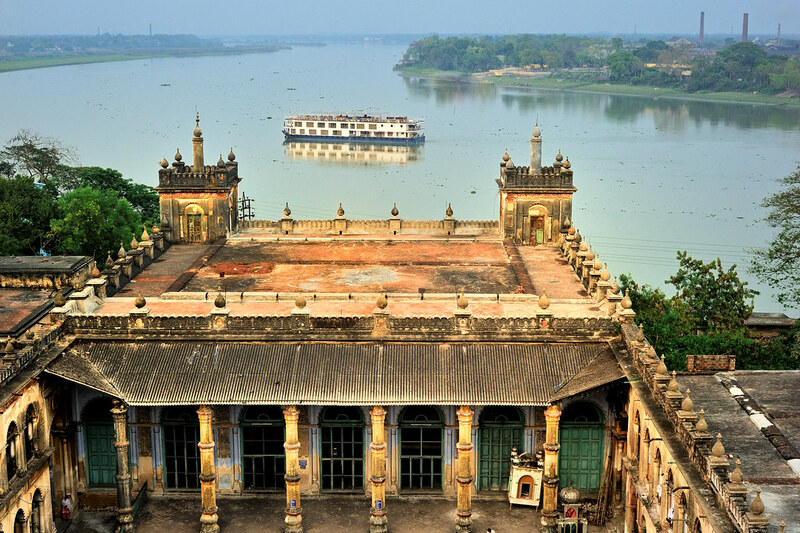 Full details: Australians can ‘buy one, get one free’ for cruises this April on two of Asia’s major rivers, the Ganges and the Brahmaputra, thanks to a new deal offered by Active Travel, an Australian travel agency specialising in Asian river cruising. The special deal, for bookings made by February 26, 2016, allows two passengers to travel for the price of one. Plus, travellers cruising solo can sail without paying a single passenger supplement. The seven-night Brahmaputra cruise begins in the city of Guwahati. Included are a visit to a tea garden and factory, a trip through the bazaars of Tezpur in cycle rickshaws and a memorable visit to Kaziranga National Park, a World Heritage Site home to two-thirds of the world’s Indian rhinoceroses. Guests will cruise onboard Assam Bengal Navigation’s (ABN) Charaidew, which offers 12 air-conditioned cabins. The cruise departs April 16, 2016, and costs from US$1415 for two people sharing a twin cabin, thanks to the two for one offer. The Ganges cruise will begin in Kolkata and explore the famous river, sacred to Hindus and essential to the everyday lives of millions. Passengers can take in the scenic countryside and villages while sailing aboard the river vessel, ABN Rajmahal. Including sites such as sixth century rock carvings, Buddhist monasteries, Hindu temples and historic mansions, the itinerary is packed with places of cultural and historic interest. The Ganges cruise departs April 14, 2016, and costs from US$1995 for two people in a twin cabin, thanks to the special deal. Passengers travelling solo can travel on either cruise without paying a single supplement. Deals are subject to availability and fares include shore excursions and transfers as per the itinerary. Flights from Australia to India are extra and can be booked through Active Travel. Bookings and details are available through Active Travel at www.activetravel.com.au or call 1300 783 188.